Home The Audio Consultant Auckland See 2 Things Truly Unique! 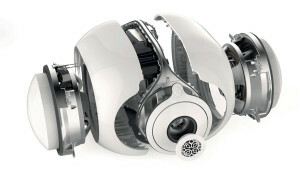 Devialet Phantom will be touching down for a VERY short period. We are offering invitations to hi-fi lovers to experience this ground breaking technology. Representatives from Devialet, including an engineer from Devialet Paris, will be in our showroom 10:30am to 5.00pm to demonstrate and show off this revolutionary audio equipment. This is the very first time it will be shown to the public in New Zealand. We will also have the first portable SAM Lab (SAM is Speaker Active Matching), Maxime, the engineer from Devialet, will be creating SAM algorithms for speakers in real time in the store. This is a world first! Originally SAM algorithms (speaker corrections software) took up to 3 months and 4 engineers to do. The piece of equipment they will have can do this in real time, in under 10 minutes… Right in front of your eyes. You can also discus exactly how SAM works with one of THE Devialet engineers from the team. We are offering an exclusive opportunity for our Devialet owners to have their own speakers SAM’d at this time – so if you have a Devialet or are wanting to purchase one, and your current speakers are not already in the SAM catalogue please contact us. Read More on the revolutionary technology that is Phantom and the UK Mirror Devialet Phantom review: an absolute beast of an all-in-one wireless sound system, and Wired’s Review: Devialet Phantom, A Sound Sculpture. Find out more about Devialet Expert Series SAM and if your speakers are already SAM’d!